PARIS — European missile-maker MBDA is poised to conduct firings of its Brimstone 2 missile from a Boeing AH-64E Apache as part of an effort to persuade the British Army to adopt the weapon on a new helicopter fleet it is planning to purchase. A firing demonstration of the Brimstone 2 onboard the latest version of the Apache is linked to a contract signed last September by MBDA's UK arm and the Ministry of Defence (MoD) to look at the feasibility of integrating the weapon onboard the latest "E" standard Apache the British are looking at buying to replace their AH1 version of the helicopter. "During June, MBDA is being funded by MoD to carry out risk reduction/proof of concept firings of Brimstone off an AH64E using the Modernized Target Acquisition Designation Sight and fire-control radar. These firings support MBDA's proposed missile solution for the UK buy of AH64E — Future Attack Helicopter Weapon (FAHW) — an enhanced Brimstone specifically designed to meet the British Army's attack helicopter needs," the spokesperson said. The British Army Air Corps currently deploys Lockheed Martin's Hellfire missile on the 49 AH1s it currently operates. 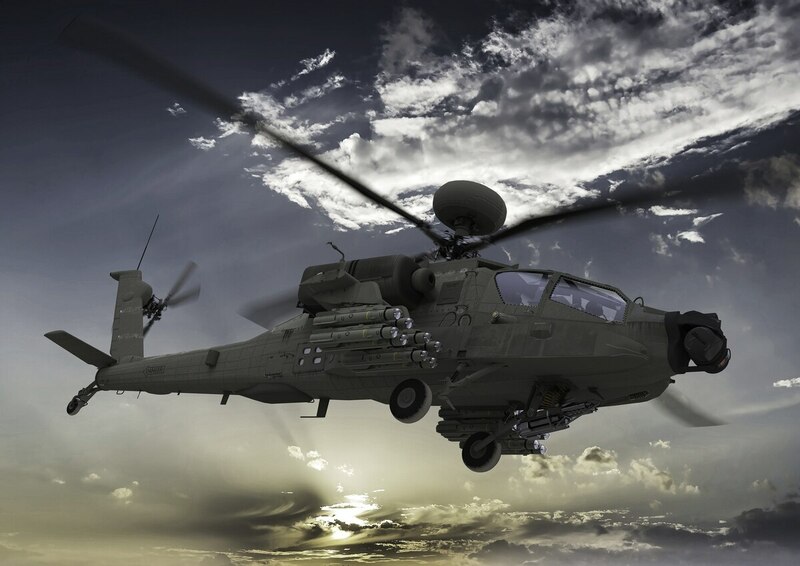 Hellfire is likely to be around until about 2040 but Lockheed Martin is under contract with the US Department of Defense to develop the Joint Air-to-Ground Missile (JAGM) to replace Hellfire first on US Army Apaches and Black Hawks. Initial operating capability of JAGM is expected at the end of the decade. It's not known whether the British have had any discussions with the United States about possible use of JAGM. The existence of the yearlong British contract was first revealed by MBDA UK boss Dave Armstrong during a briefing with reporters in March. Brimstone is already operational on Royal Air Force Tornado strike jets and work is also underway on integrating the high-precision strike weapon on Typhoon combat aircraft. As yet, though, the weapon has not found its way onto an operational rotorcraft, although earlier this year Britain announced during a summit meeting between the two countries' leaders that France would consider acquiring the missile for it's Tiger attack helicopter fleet. An announcement on whether the British will buy the AH-64D under a foreign military sales (FMS) deal or have local helicopter-builder Leonardo-Finmeccanica rebuild existing AH1s to the "E" standard is likely in the period just before or during the Farnborough show. British Sunday newspapers reported last month the government was poised to award the deal to Boeing via an FMS deal without any likely offset for UK industry. Leonardo has already warned of unspecified consequences for its UK helicopter operations if there is such a deal, and there is rising concern in some parts of the British defense sector regarding the portion of equipment spending currently earmarked for FMS deals with little or no offset requirement on the part of the US companies involved. Jen Judson contributed to this story.